(Goodna Temple) is open to anyone who is interested in learning Buddhism and practicing the Buddhist way of life. 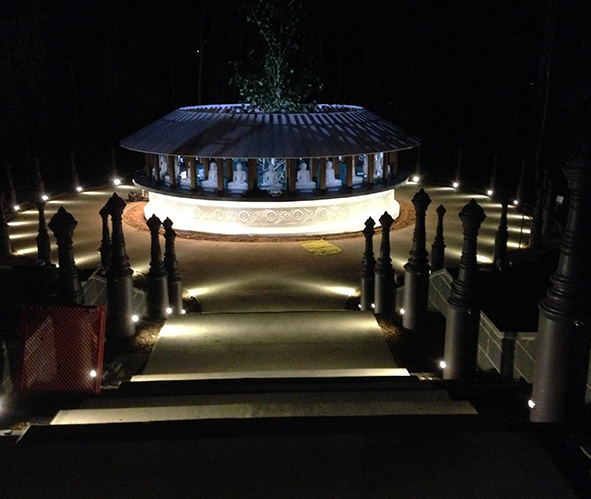 The Buddhist Vihara (Temple) of Queensland is situated on 2.5 acres of bush-land setting in Goodna on an elevated land. Its native vegetation along with ample wild life creates serene and calm surroundings, with the stone Buddha statue in meditation posture in front of the main building. The main building houses the shrine room with a beautiful Buddha statue, monks quarters. Disability access is from the back of the building. Toilet facilities for the visiting public are located at the ground floor area. The place can easily accommodate 500 visitors during a major festival. The veranda around the upper floor of the building provides ample space for a quiet sitting for meditation. We are happy to inform you that the operational works submission to the Ipswich City Council has been approved for the construction for the following works. 1. A single entry to the temple premises to the amalgamated lots – 108 and 110 Eric street and associated road works to Eric street. 2 The construction of car parks and associated internal roads and street lighting. 3. Accessible car parks and associates access paths. 4. Storm water management of the entire development area. May the Noble Triple Gem Bless you and your families as you continue to support the Buddhist Vihara of Queensland in its endeavours to make available what the Buddha taught for the future generations. Through your donations, Goodna Temple can extend the range of what we do, allowing us to continue to unfold and deepen the thriving centre and community that we have, and give people what they need to effect real change in their lives. A place of Buddhist meditation and worship catering for the religious and spiritual needs of Buddhist community. Pursue meditation as part of the path towards enlightenment and nirvana. Focus your mind on representations of youraspirations in our grounds and shrine room. Find peace of mind and become happier. 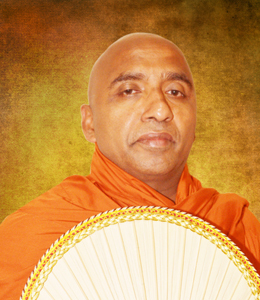 Ven Sitinamaluwe Sugathasara Thero is the Chief Incumbent of the Goodna Temple. He has been serving the Buddhist Community for many years and his knowledge and understanding of Buddha Dhamma is excellent.